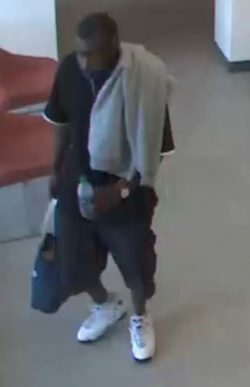 Public Safety is seeking assistance in identifying this person. 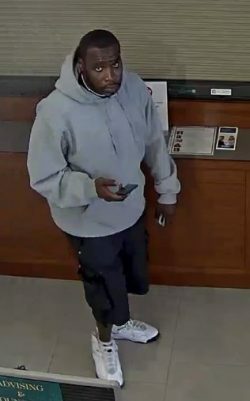 At approximately 10:07am, on Saturday, August 18th, 2018 the above pictured subject forced entry into the Cascade campus business office through a walk-up window. After being inside for some time, the subject exited with a blue tote bag containing as yet unidentified items. The same subject was seen on video peering into offices throughout the Student Services Building and attempting to force entry into the Financial Aid walk-up window. If you have any information on this person, please contact Public Safety at (971) 722-4902 and ask to speak with a Cascade Public Safety Officer.